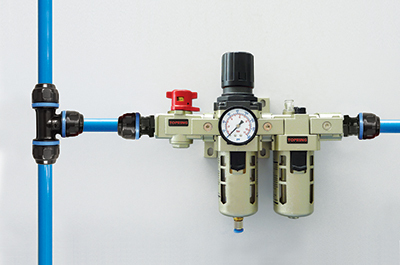 This section gives you advice and guides you through your compressed air system project. 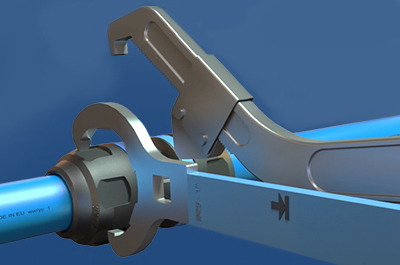 Topring's piping systems offer many advantages: easy and quick installation; air tightness of pipes and fittings; optimized flow and energy efficiency. Topring's compressed air piping systems meet the highest standards of quality and meet industry certification standards. Whether you have a technical question or need assistance in designing your air piping system, our expert technical team is available to help you and answer all your questions. Unlike more conventional air piping system made of steel, aluminum compressed air piping resist corrosion and do not deteriorate. The absence of rust ensures longevity of the equipment, require little maintenance, less frequent change of filtration elements, constant air flow and low pressure drops. For optimum efficiency, opt for an aluminum air piping system. The installation of Topring pipes and fittings is 50 to 75% faster than conventional welding installation methods (steel pipe). 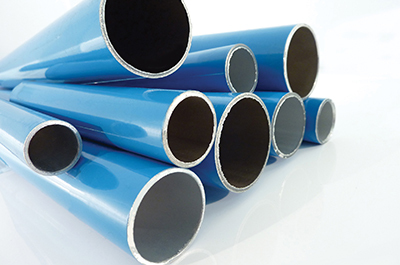 Aluminium pipe are lighter than steel pipe, thus reducing assembly efforts and labor costs. Also, there is no more need for ***complicated and expensive*** mounting tools, only simple and easy to use tools. Furthermore, if need be, modifying an existing air system is very easy. Aluminium is the most suitable material for compressed air system for many reasons. Calibrated aluminum pipe and assembled with compression fittings eliminate air leakage and reduce energy costs by up to 10%. The anti-corrosive property of the materials also reduces maintenance costs due to the absence of rust in the system. A combination of adequate air treatment solutions and a good system design will achieve an efficient system with reduced maintenance costs.